United States, 1990s This unusual chair has been fabricated from ten continuous strips of bent laminated maple strengthened with three horizontal dowels. 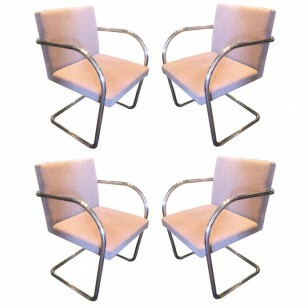 Italy, 1990s These iconic armchairs were designed in 1966 by Warren Platner and were manufactured by Knoll. 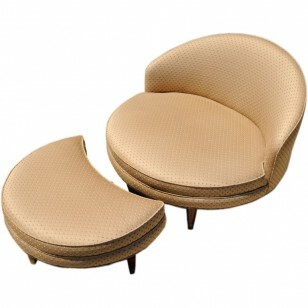 They are constructed of nickel-plated steel wire rod and are upholstered in Knoll’s Luxe textile Stirling in Guild. 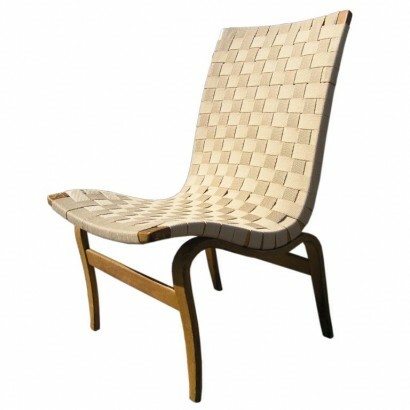 Sweden, 1942 Designed by Gustav Axel Berg, this 1940s lounge chair features an exuberant bentwood birch frame. 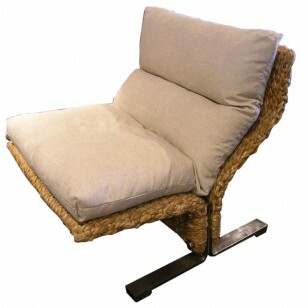 The seat has been restrapped with vintage cotton webbing. 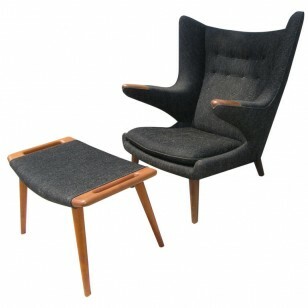 USA, 1950s Allan Gould created these eye-catching Bow Chairs by wrapping yacht cord around a black steel frame, resulting in a soft seat and back and strong lines. 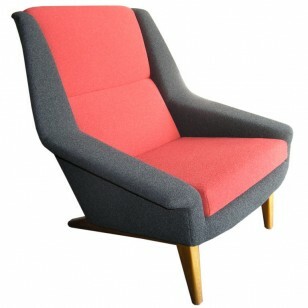 Unknown, 1950s This armchair features a deep seat with a high, slightly winged back and dramatic wood arms and legs. It features original upholstery and a refinished frame. Denmark, 1993 Designed by Borge Mogensen and manufactured by Svend Skipper, this stately leather armchair features a very comfortable seat and rich leather upholstery. 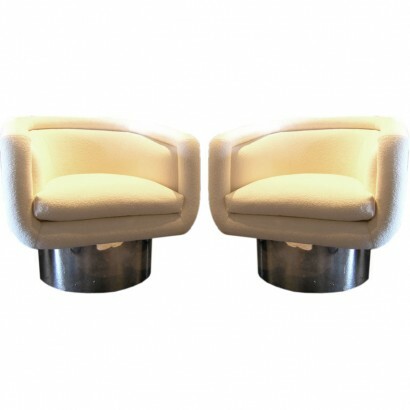 USA, 1950s Pair of geometric cream fiberglass armchairs by Paul McCobb with metal base. 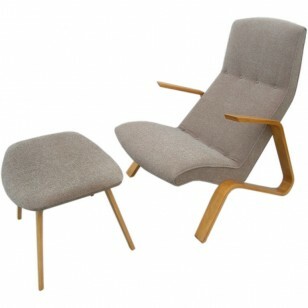 United States, 1950s In this striking armchair by Jens Risom for Knoll a curvaceous upholstered seat floats within a strong-lined birch frame. Canada, 1950′s The unique cord seat and back of these chairs gives them a light airy presence while still providing comfort and support. Italy, 1970′s This 414 CAB chair by Mario Bellini for Cassina is a classic and elegant design that showcases amazing leatherwork skill. 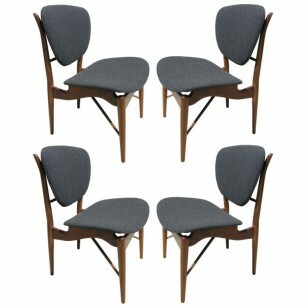 Italy, 1950′s The unusually high backs of these marvelous chairs make a bold statement. 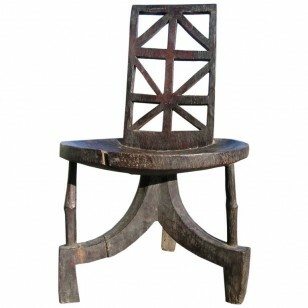 The all-original condition of these chairs adds to their charm. 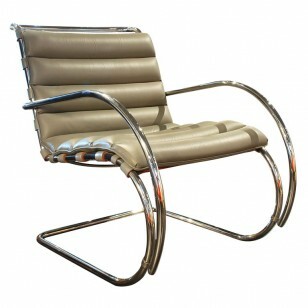 Sweden, 1940′s The signature curves of this chair are a classic Mathsson design. Original paper label on the underside.